Sorry, rom-com’s, but we’re sick of you. Dinner and a movie is always a solid plan for a Friday night, but when the hostess and ticket stub guy know your weekend routine and can time your arrival down to the minute, you may need to rethink your dating strategy. And the planning grunt work shouldn’t be solely the guy’s responsibility, it should be shared. You’re spending time with someone you care about, why not have the best time possible, doing something you both enjoy while still staying true to your budget? Here are some fun date ideas that will shame the tired Friday night movie plans and keep your wallet from losing any more weight. This date works for hikers and non-hikers alike. You can pitch a tent, borrowed or your own, in the comfort and intimacy of your own yard and still get the feeling of being out in the wilderness. If your city or suburb allows it, stoke up a fire and roast some hot dogs or smores. Or simply fire up the grill for gooey hobo-pies. Take your tent to the park if a personal spot of green grass is unavailable. Climb trees and dip your toes in a river for a change of pace. Some of the best fun are to be had once you remove that stubborn adult mindset and relinquish to the child inside you. The movie Up said it best: Adventure is out there! Volunteering at a local organization costs you nothing and the benefits are endless. Reading to the elderly, assisting in park cleanup, or serving at a food drive are all wonderful ways to contribute to the health and happiness of your town or city, and sharing that experience with someone you care about is bound to improve your spirits and increase your joy in each other than some boring dinner date. Phil and Claire Dunphy from Modern Family perfected this fun date. Go out to a bar or restaurant of your choice and pretend you two are completely different people. Give your alter egos nicknames and histories — a full and rich past. The story-building is a fun way to spark each other’s imagination. Alter egos are way sexier than cheesy garlic bread. In the similar vein to at-home camping, set up a picnic for yourself in a totally normal environment. In the middle of your kitchen, the mall, your high school’s football field, etc. Homemade sandwiches and snacks are best shared with someone who will eat your cooking just because you made it. Lie out on a blanket and watch the clouds pass by. Sometimes our lives need a healthy dose of cheesy dates to get back on track. OK, so we kind of promised to stay away from boring movie dates, but come on, making fun of terrible movies is a great time. Browse Netflix, Redbox, or even the TV Guide to find something one or two-star-worthy. Make it a marathon and cozy up in your pjs. Pick something neither of you’ve seen before, set the volume on mute, and improvise the script. This idea, borrowed from the Thought Catalog, is a great opportunity for you to explore your partner’s taste in reading. Take a trip to the bookstore and bring along a pad of paper to write down each of your favorite books. Bonus points for sticking a cute note in some of the books’ pages for the next reader — but no spoiler alerts, please! 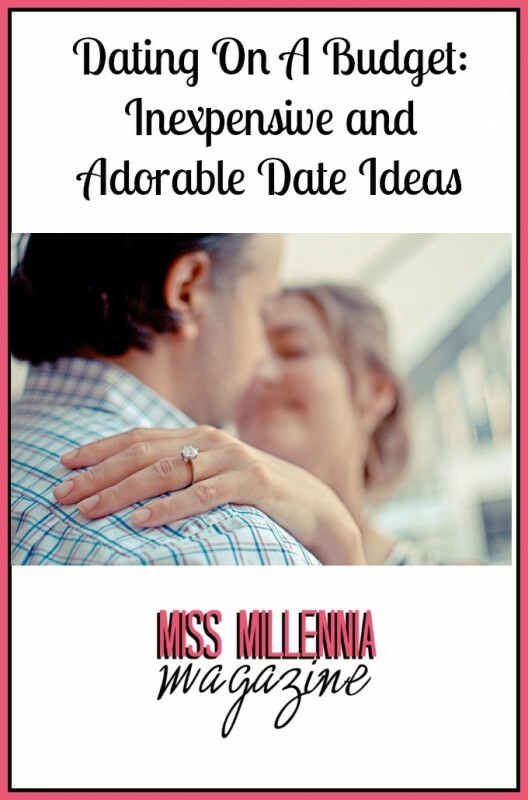 Regardless of what you end up doing, dates are not about showmanship or one-upping the other to prove yourself as the more spectacular date-planner. Dating is about sharing interests and having fun with someone you like — so no matter what plans you come up with, enjoy each other’s company. Taking a simple walk together or watching TV can be as intimate and fun as a five-star dinner.